The idea of selecting a gravestone can be overwhelming. 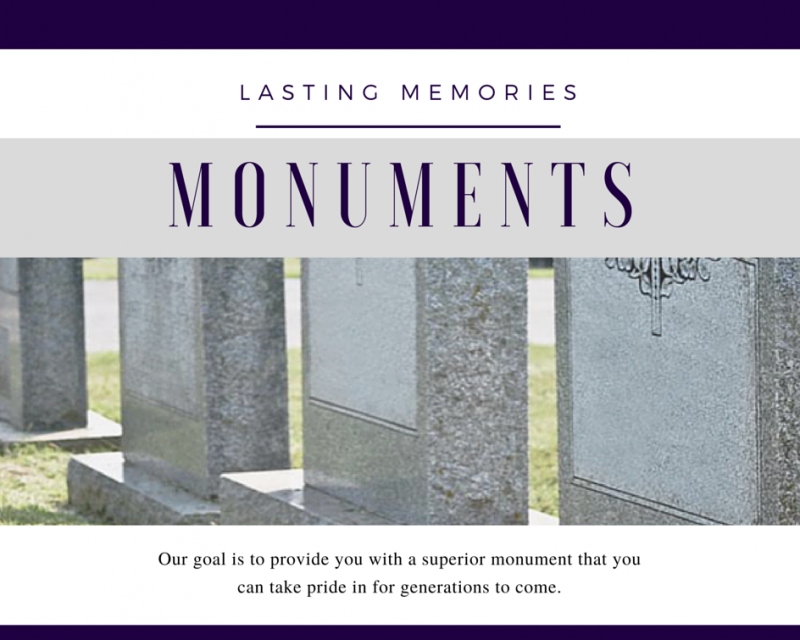 We are here to walk you through step-by-step so you can find a monument that is both meaningful and cost-efficient for your budget. Our selection of monuments and marker styles is extensive; our inventory includes columbariums with a wide selection of urns, vases, jewelry and benches. Our products are generally discounted up to 30-50% from competitors.You are NOT required to purchase a monument from them. Pricing is standard for engraving. In addition to cemetery markers, we provide monuments for commercial signage and brick engraving for various uses. Our team will provide the utmost care and respect while making the process smooth and simple for you and your family.